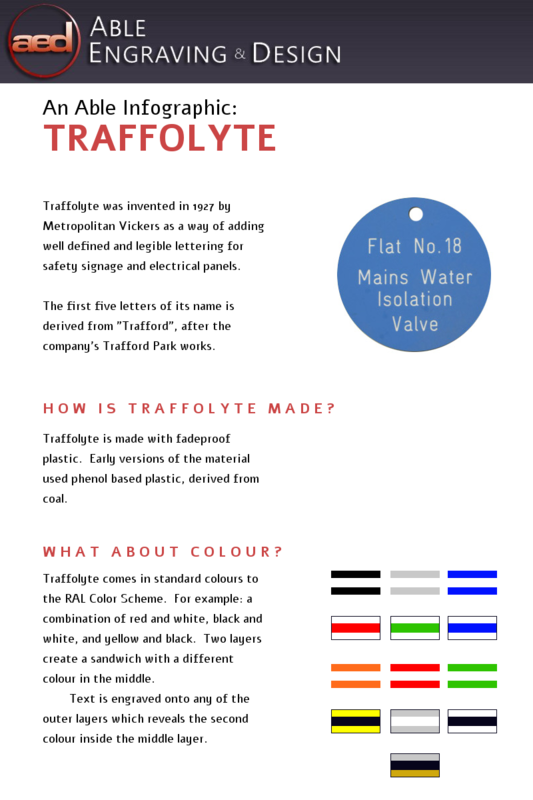 In a more shareable form, our look at Traffolyte engraving is now available in infographic form. We at Able Engraving and Design hope you enjoy this polished production and, feel free to share it widely. So long as you give us a credit. Please include attribution to Able Engraving and Design with this graphic. Able Engraving and Design, 01 September 2017.